@l33t4opera as long as this remains optional and can be disabled and the access to personal news in sidebar stays, i think nothing speaks against this. i personally prefer not to have this on my speed dial. i prefer the personal news in the sidebar. @onthehunt Do you have advanced settings enabled? @onthehunt You need to open the easy setup dialog to do that. "Welcome to our weekly developer update. Today, we have a bunch of fixes included, together with the performance improvements. - We fixed the font size on user interface labels (it was much smaller than regular font size). - “Open New Tab” is not slow anymore for macOS users with Touch Bar. - We’ve fixed badly scaled spinner, and mute icons for DPI > 225%. - Opera icon is visible now in O Menu on Linux. - Wikipedia search engine icon is now visible for dark theme." The Chromium has been updated to version 66.0.3343.3. @rudrick Although they seem very interesting, I don't see them coming in a near future. - "Easy Setup" layout has been polished. - The crash, when switching between tabs is fixed. @mxxl What news? It was just an opinion. 53.0.2893.0 (macOS), the Code Signing has been changed to A2P9LX4JPN. "Since spring is just around the corner, we’re doing some spring cleaning in Opera developer 53. 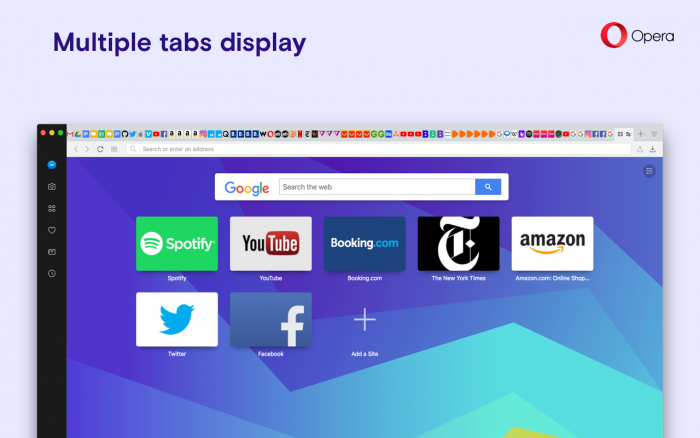 You’ll find improvements to tabs’ display, especially with several of them opened, and some new colors for the address bar in this build. There is also a fresh, sharpened coloring done to the address bar. - Windows 10 bug with an empty pop-up, when text is selected by a touch screen is fixed. - Opera will install on Ubuntu 18.04, Bionic. - Touch bar is fixed (macOS). - Tabs previews can be broken. - Capturing full page by Snapshot doesn’t work. - Issues with saving as PDF.. The Chromium has been updated to version 66.0.3355.4. 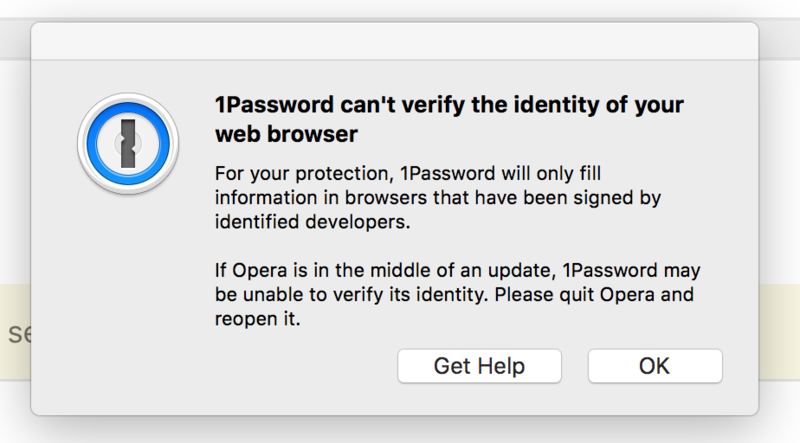 @l33t4opera You need to sign this version (53) so that password manager extension like 1Password will correctly identify the browser as Opera and work again. The 1Password extension works fine in the beta version and did work in all previous dev versions. @markbyrn We don't release unsigned builds. Problem with 1Password is that they base their verification on old certificate which will soon expire. Since 53.0.2893.0 we use new certificate so it's up to 1Password to update their verification. I've send them information about this, but we have no direct contact so no idea how long it's going to take. @deluxive thanks for analysis of 1Password. I've sent them request to update their signatures database with our new certificate. As for the crash build 53.0.2900.0 release this week includes fix for crash when opening new tabs on Mac. Hopefully it should also be fine for you.